Prominent & Leading Manufacturer from Jaipur, we offer heriz designer carpets, heriz rugs, best selling heriz carpet for home, wool heriz antique rugs & carpets, handmade best quality wool heriz carpets and hand-knotted wool red traditional oriental heriz rugs. 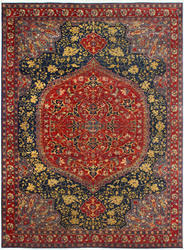 Aided by our through market research, we are involved in offering a broad range of Heriz Designer Carpets. 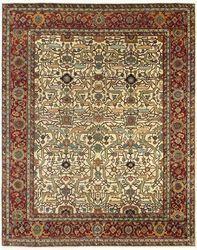 The offered carpets are provided in numerous patterns, sizes & colors options as per the requirements of customers. 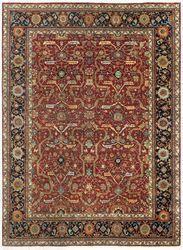 These carpets are well designed using pristine quality material and progressive techniques by our talented personnel in accordance with international standard. Clients can avail these carpets from us at reasonable rates. 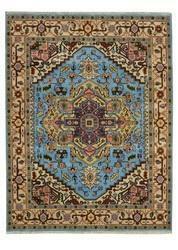 Being a well established company of this industry, we are offering a wide collection of Heriz Rugs. Our given Heriz rugs are designed by our professionals keep in mind the current market trends using excellent quality material. Our entire range of Heriz rugs is gaining appreciation for their unmatched quality and appealing look. 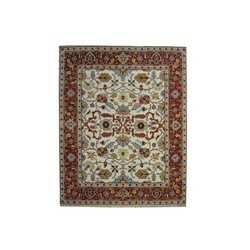 Furthermore, we provide these Heriz rugs in various colors and designs to cater the wide needs of customers. 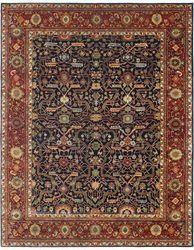 Being a dependable enterprise, we are offering a comprehensive assortment of Serapi Heriz Carpet. 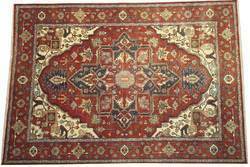 The offered Nepali carpets are provided in numerous patterns, sizes & colors options as per the requirements of customers. These Nepali carpets are well designed using pristine quality material and progressive techniques by our talented personnel in accordance with international standard. 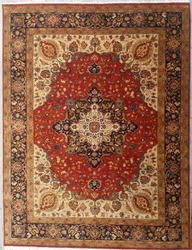 Clients can avail these Nepali carpets from us at reasonable rates. With the inclusion of advanced fabricating technology, we are engaged in offering a wide range of Heriz Carpet. Our offered Heriz carpets are precisely designed using the finest quality material like threads & yarns keeping in mind the latest trends of the market. 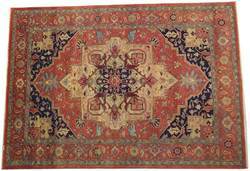 These Heriz carpets are checked against well-established parameters of quality, in order to deliver a defect free range at the customer’s end. 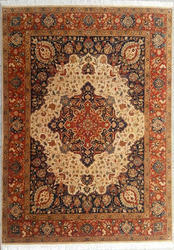 Also, clients can avail the Heriz carpets from us in various sizes, patterns, and colors.